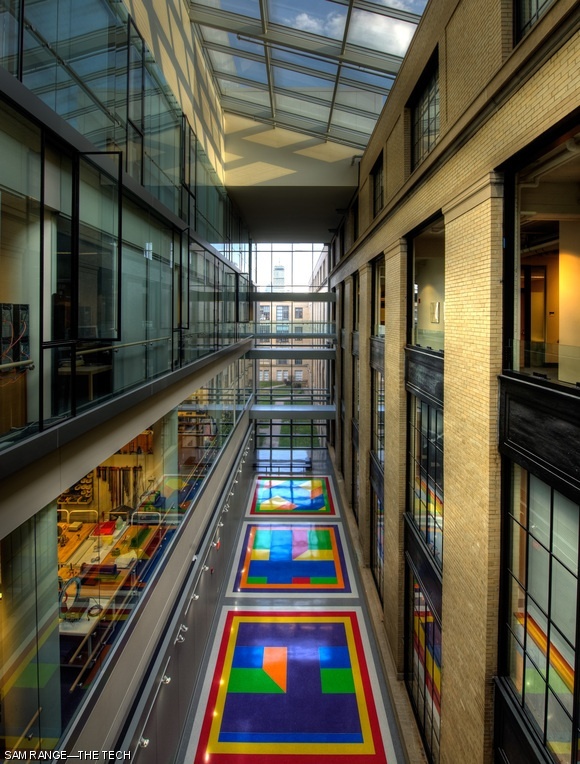 Colored walkway: The spectacular walkway between Buildings 6C and 8 reflects colors in the afternoon. Building 6C was completed in 2007. It houses physics and materials science labs.